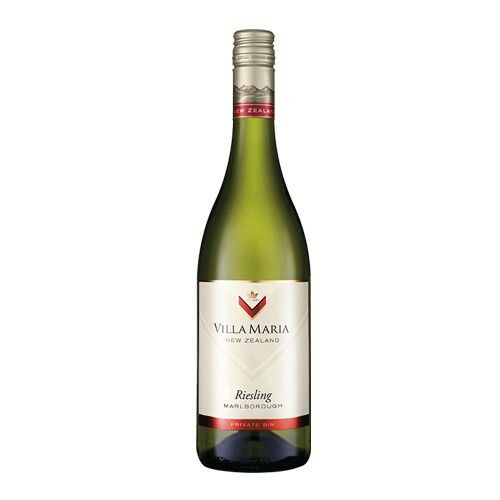 Villa Maria’s Riesling vineyards are scattered throughout both the Awatere and Wairau valleys of Marlborough. The vineyards are managed to ensure ripe and clean fruit. Timely canopy management activities such as shoot thinning and leaf plucking along with an attention to vine health optimizes the opportunity for the ideal vineyard flavours at harvest. A pure and delicate bouquet of ripe citrus-lime and spring blossom aromas. The palate is beautifully balanced with intense flavours, lovely juicy length and a zest lime finish. Great on its own or with light fresh food.